It is just over a year since Marcus Worth took over as Managing Director of Moseley in the South following the retirement of former MD, Allan Vaulter, and the acquisition of his majority stake by Moseley (PCV) Ltd in October 2016. Moseley in the South was incorporated in 1990 and for the first six or so years of its existence operated from part of the yard of Berry’s Coaches in Taunton. Twenty one years ago it moved to the current site on the Chelston Business Park between Taunton and Wellington. A modern, purpose-built office, workshop and stores complex was created, and the large yard landscaped and surfaced to provide parking for in excess of 50 coaches. A key point about the site is how easy it is to access from Junction 26 of the M5 motorway. Marcus joined the business as General Manager in March 2010 having already amassed considerable experience in the industry as well as in other fields, the common thread being that all the products he has been involved with were powered by engines. Hailing from Norfolk, Marcus started young, learning mechanics on stock cars working for the late Crowland-based racer, Howard Cole (211). He subsequently qualified as a marine engineer with Herbert Woods on the Norfolk Broads and his first link with the Moseley organisation was when the boatyard acquired two coaches, running as Pennant Holidays. 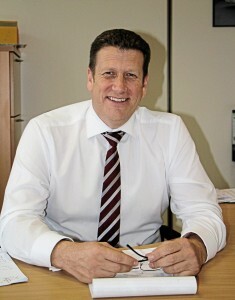 He joined Moseley at Loughborough in 1986, leaving in 1990 to work as an aftersales manager for a Mercedes-Benz truck franchise. 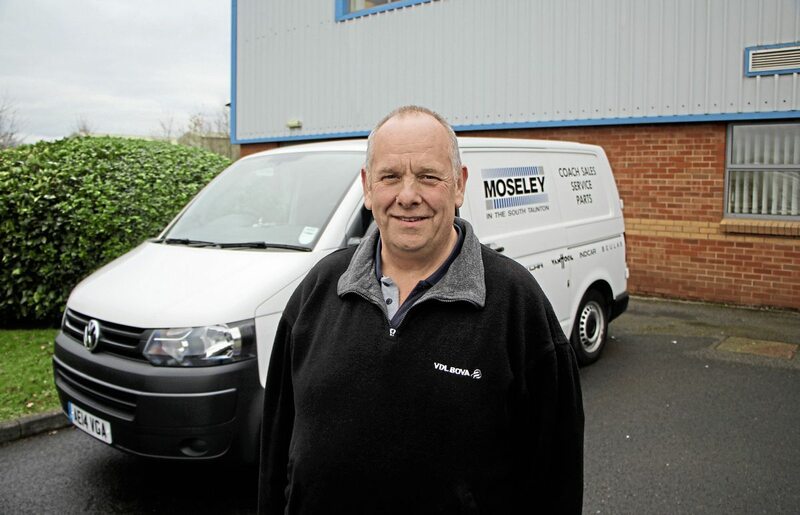 From 1994 to 1997 he ran a contract hire operation in Nottingham for Alltruck plc before rejoining the coach industry, initially as Aftersales Manager, for Alf Moseley Continental. He stayed until 2009 by which time he was Chief Executive. Marcus relocated to the South West in April 2010 and soon after his wife Corinne gave birth to their third son. For the last seven years he has worked alongside Allan Vaulter, which completed an excellent grounding for the task he has now taken on. His hope is that customers will see very little difference as a result of his stepping up though he will look to take the business forward, embracing new ideas and technologies where appropriate and beneficial to customers. A part of his role, as he sees it, is trying to explain to European manufacturers that, fundamentally, most UK operators maintain their own vehicles rather than putting them into dealers. It makes having a good support team essential and Marcus’ belief in those working for him really came through when we were talking. He explained that the total headcount stands at 18. Handling sales are Sales Director Alan White, who at the time of writing was away from the business as a result of illness, and the team of Peter Jenkins, Steve Peck and Mike Elkin. Workshop Manager Bryan Read has Steve Jones, Tom Davies, Andrew Giles and Matthew Walker in his crew, while Parts Supervisor, Angie Hodgkinson has Warehouse Assistant, Royston Morris and Parts Advisors Steve Chambers and Alistair Shaw. Alistair is the latest recruit to the team having joined from DAF Trucks. Administration is the domain of Office Supervisor, Claire Shepard, with Reception Administrator Christine Etherington and Pam Pike in accounts. Completing the team is Warranty Advisor, Simon Woolacott, who administers all warranty issues and additionally does vehicle handovers, enhancement road tests, and some quality control. “We have always had the facility that Bryan will go out in the field and support customers and this has been even more important in the last three years. He also makes courtesy visits when he is in an area,” said Marcus. “He is one of the best technicians in the industry.” On one recent callout, the operator texted Marcus to tell him ‘The Doctor’s arrived.’ He doesn’t have a Tardis but the well-equipped van is the next best thing and the diagnostic tools the nearest thing to a sonic screwdriver yet devised. 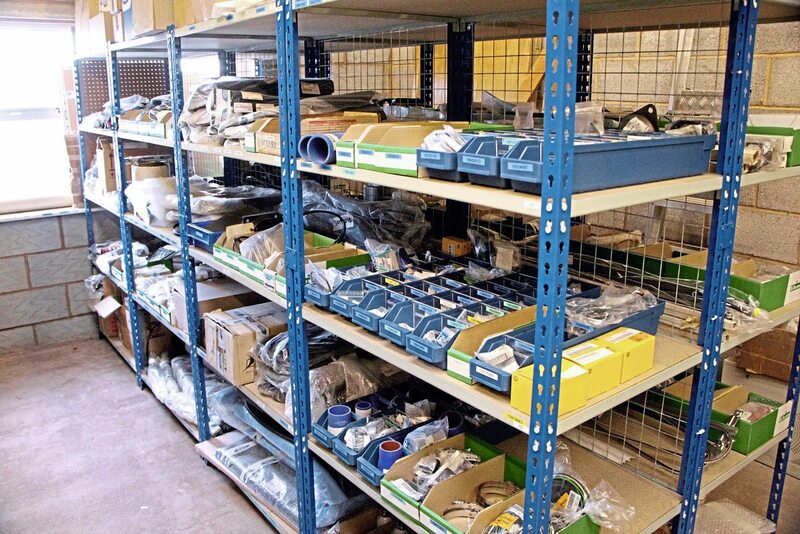 In the parts department, in a process begun some time ago, new racking has been installed, the storage areas have been tidied up and reorganised to provide easier location and more space for fast-moving parts, particularly in those areas dedicated to Beulas and Indcar stock. At the end of this process it struck me that there was only one cardboard box containing all the parts left over with no stock numbers on them. The three Moseley companies undertake to provide sales coverage for the UK and Ireland between them in terms of seeking their business, but it is by no means unheard of for deals to be done outside these areas, especially in the used market and if one of the trio can offer existing stock. Moseley in the South’s area is split into three with Mid, South & West Wales covered by Peter Jenkins; Dorset, Hampshire, Isle Of Wight, Wiltshire, Berkshire, Cornwall, Devon & Somerset looked after by Mike Elkin; and Steve Peck taking responsibility for Essex, Kent, West Sussex, East Sussex and North & Central London. Robert White, who is on the Moseley (PCV) Sales payroll also handles South London and Middlesex on behalf of Taunton, as well as the block of Norfolk, Suffolk, Cambridgeshire, Northamptonshire, Bedfordshire and Oxfordshire for the Pontefract based operation. In Ireland, the Republic is looked after from Taunton while Moseley Distributors, headed by Jim Tweedie, are more active in Northern Ireland. Asked how he sees the market, Marcus said, “It’s a massive challenge at the moment. As an independent dealer one aspect is going head-to-head with manufacturers. On new, I think the market is going to change again dramatically in 2018. In the past the business enjoyed a lot of success fitting Baumot systems to upgrade engines from Euro III to Euro IV or Euro V, but this time it will be altogether more complicated. Bryan Read commented that he would really like to run these solutions for a year before making a decision but this is unlikely to be an option given the time constraints being imposed. Despite all of the attendant difficulties, the needs of the market will dictate that a solution has to be found – and quickly: “We have to be in a position where we have all of our ducks in a row so that we can offer a solution to people who are not in a position to buy new. We will be, but we are rather in the hands of the exhaust manufacturers in this regard. “I know Green Urban and Eminox have systems but we have to know that they will do the job and are fully approved by the relevant authorities. We then have to produce a package with our used vehicles that represents value for money and a convincing package for our customers but it is going to increase the cost of trading up,” said Marcus, who finds it concerning that the deadline is only 12 months away and there is still no certainty. Bryan doubts that, nationally, it is possible to upgrade the fleet in time. It would be nice to be able to write an article without mentioning Brexit but, as Marcus points out, it is having a impact. On the used side, the endless challenge of finding homes for used vehicles will become more difficult because, Marcus believes: “With emissions regulations, we will see older vehicles drop out much more quickly.” He also believes demand for tri-axle coaches is limited, noting that the company’s core product in the new market remains the Futura FHD2 with 57 seats and toilet on two axles: “In the used market tri-axles have to be high capacity,” he said. Though there are challenges, there are also opportunities and advantages to being an independent dealership as Marcus was keen to point out. 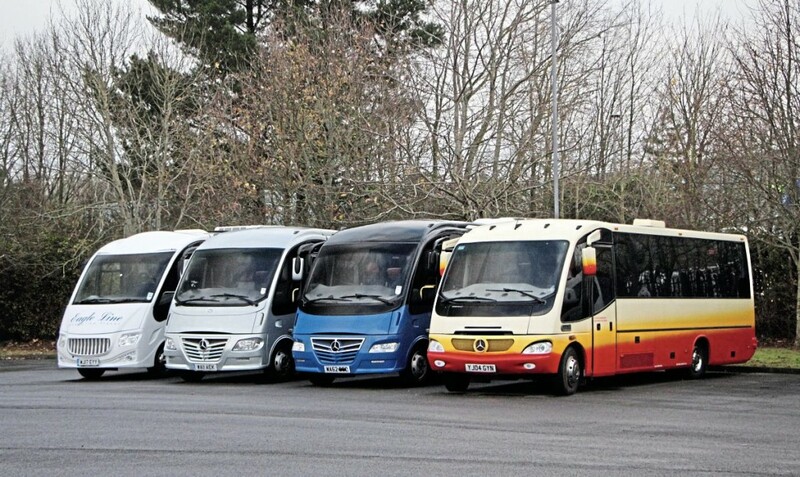 With regard to used coaches, one change that Marcus has introduced is that vehicles of a particular marque are now parked together in groups, with VDL products on one side of the yard and Van Hools opposite them. Large coaches of other marques are to one side of the VDLs and small coaches are further up the yard, opposite the offices, and next to the new stock. He is very happy with the stock level but would like to see a slightly different balance that included some Euro VI options. 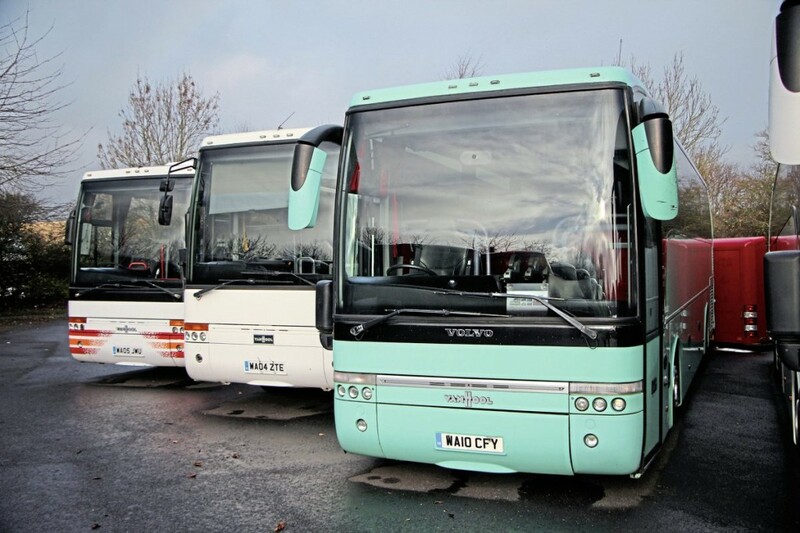 The latest stock list gave details of 38 coaches, the newest of which was a 2013 13m Scania K400 Irizar i6 53 seater, still carrying the colours of Blake’s Tours. 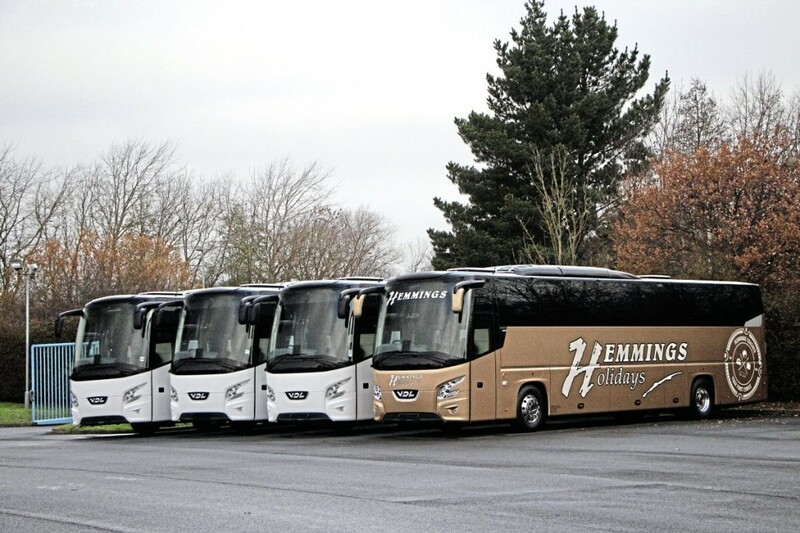 The oldest was a 2004 Volvo B12M Van Hool T9 53-seater with automatic transmission, an older Neoplan EuroLiner having a sold sticker in the window, as did a 59-plate Mercedes-Benz Tourismo and a 61-plate ex Berry’s Volvo Van Hool Astrobel. Planning succession in a specialist business is always challenging and this transition has to be one of the best planned and most seamless I have witnessed. There is no question that Marcus and the team know what their customers expect of them and are determined to provide it. It is also clear that businesses have to evolve to continue to thrive and from our discussions Moseley in the South is positioned to meet the future. The associated Moseley companies have an impressive range of products on offer, all of them available through Moseley in the South. The big seller is the VDL Futura 2 range which is now offered at 10.6m, 12.2m and 12.9m on two axles with a new 13.5m two-axle alternative, which offers up to 61 seats and a toilet, arriving in 2018. Launched at Busworld in Kortrijk, this has the Paccar-DAF MX11-370 engine and ZF EcoLife automatic transmission. With this new introduction, the former 13.1m tri-axle model has been discontinued leaving only the 13.9m on three axles. The 10.6m is also a new though much anticipated option, capable of carrying up to 43 with a toilet. It has the 370hp MX11 with EcoLife though you can have a 440hp with the ZF AS-Tronic. The double-deck Futura FDD2 can be supplied either 13.1m or 14.1m long. Increasingly popular are the chassis-mounted coaches built at Arbucies in Spain by Beulas. The range of products has been extended considerably with the announcement at the NEC Show that the Beulas Spica, Cygnus, Mythos and Glory can now be supplied in conjunction with VDL chassis. Deliveries are expected from May/June 2018 and interest is said to be considerable. 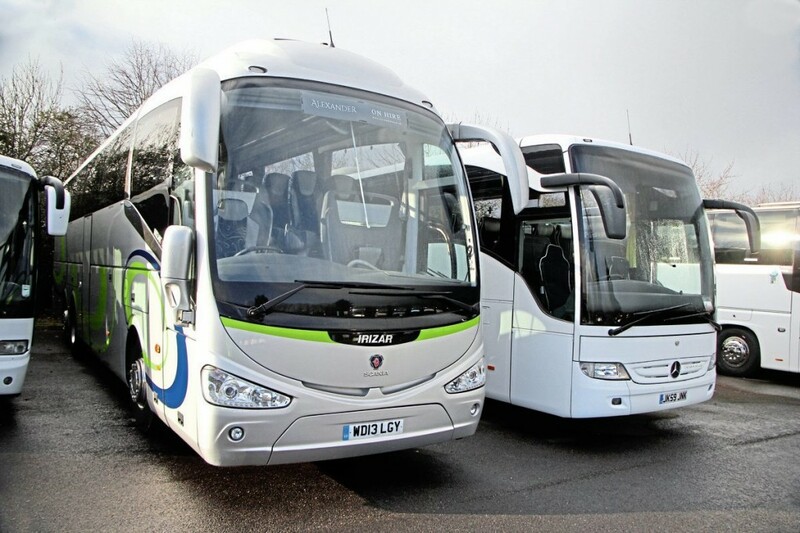 This is in addition to the full Beulas range, including the high-deck Aura and double-deck Jewel, which is already well established on MAN chassis. To date, Moseley in the South has supplied around a dozen Beulas-bodied vehicles. 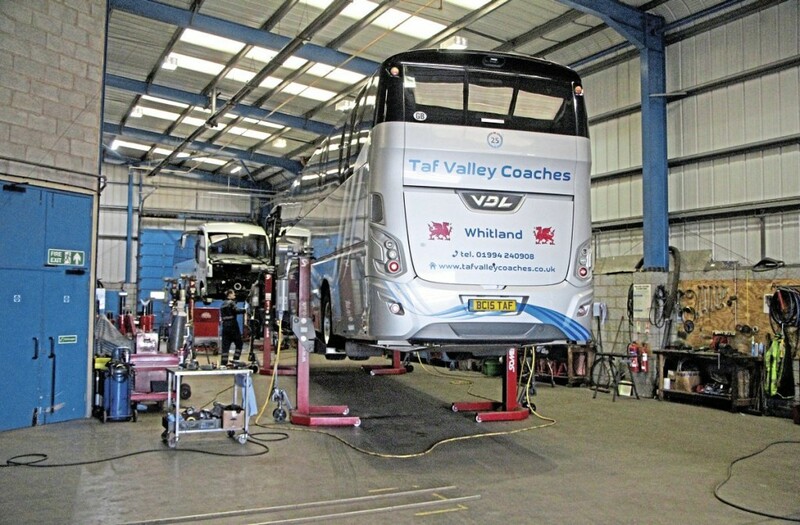 Moseley in the South has a long-standing relationship with Van Hool, offering the extensive TX family of luxury coaches with MAN engines. Orders have been taken for 2018 though no stock is being held. For smaller coach requirements, the main offering is now the Indcar range which is set to receive a boost with the Maxim 2 coming in 2018 on the Iveco CC100 chassis. Offering 33 seats within an overall length of 8.4m, it is already the subject of committed enquiries, with the first example set to arrive around the end of April. The existing Next is supplied on either 10.5-tonne or 12-tonne Atego chassis with maximum capacities of 33 or 37 respectively with retail prices from £159,500 and £165,000. For next season a new seat design produced in-house will become standard rather than the current Kiel and Innova options. I am told it is sportier in appearance with more leather though I have not seen it. The Sitcar concern which enjoyed considerable success with the Beluga has been experiencing some financial difficulties with the result that there are currently no Iveco-based Voyagers in stock. The Voyager has not proved as popular as its predecessor primarily because the maximum capacity of 25 seats restricted the market to which it appealed. Although currently still trading with court protection, Sitcar is expected to go into official administration at the end of January. The three Moseley companies are in the process of trying to source from Italy those parts that are specific to the UK operation. A point worth noting is that all of the coachbuilding brands represented are family businesses, like Moseley: “A lot of customers still want to feel that they are dealing with a family business,” says Marcus. 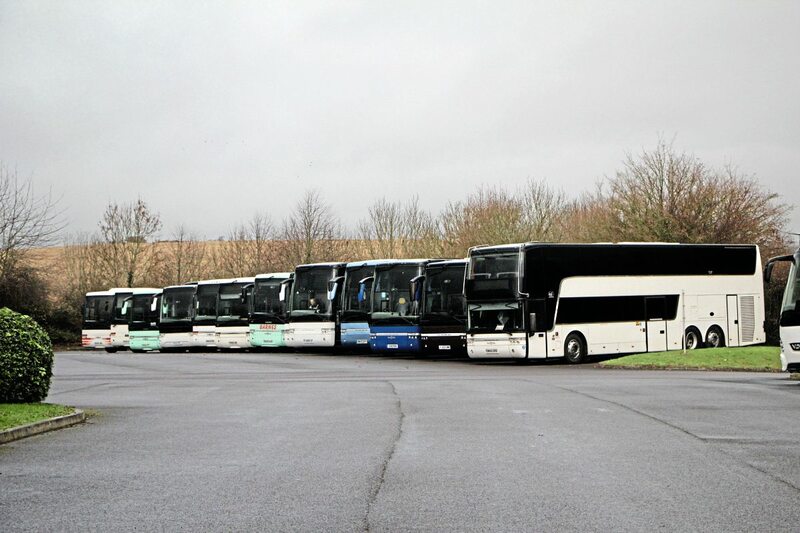 In 2018 Marcus anticipates that new sales will represent at least 40 coaches with used sales likely to be slightly under the figure of around the 100 mark achieved in the past 12 months.